Brother Josh Lowther of ReNEWed Covenant Ministry joined us today! Get out your Bibles and follow along for this one! 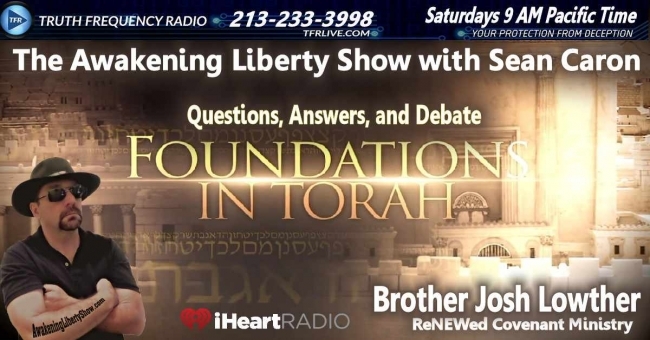 Brother Josh is a Torah Observant Pastor and we discussed Torah Observance for our time. Is it Necessary and Good? Is it profitable? Does it edify the body of Christ? Is it a Salvation issue? Are Christians under the Law and which Law? Is it applicable to modern society? What does scripture say? These questions and more addressed in this show! Many Thanks to Brother Josh Lowther for his time, perspective, and, insight! Much Love to all and God Bless!